Thrills For A BBC Tragic – Run. Ride. Roam. Audrey to Richard: To think that Grantleigh is in the hands of a man who has no interest in farming, doesn’t go to church and now, it turns out, hasn’t even heard of Winnie-The-Pooh. You think A.A. Milne is a motoring organisation, I suppose. That was just another opportunity to use my pointless super power of quoting lines from BBC television, but today it was necessary, because today I got to visit the location of one of my favourite BBC comedies from the 70’s and 80’s, To The Manor Born that starred Penelope Keith and Peter Bowles. I was absolutely thrilled! 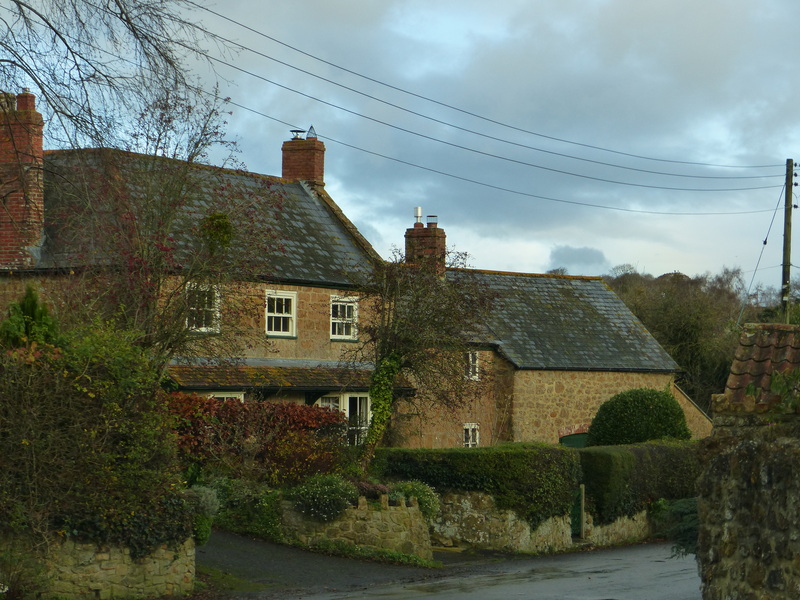 Our stay in Chard last night had us a stone’s throw from Cricket St. Thomas, the village where the series was filmed and the location of The Manor itself. As we drove down the sweeping drive into the estate, I was grinning from ear to ear, because there it was, “Grantleigh Manor”, the television home of the formidable Audrey fforbes Hamilton! I have now stayed in “Aidensfield” the home of the Heartbeat series and now here I was at The Manor from To The Manor Born! Stoked. Thrilled. Happy indeed! Sad I know, to be thrilled with something like a visit to a TV location, but for this Tasmanian, who as a kid, was raised on a diet of BBC TV, it was like a little moment of nostalgia! 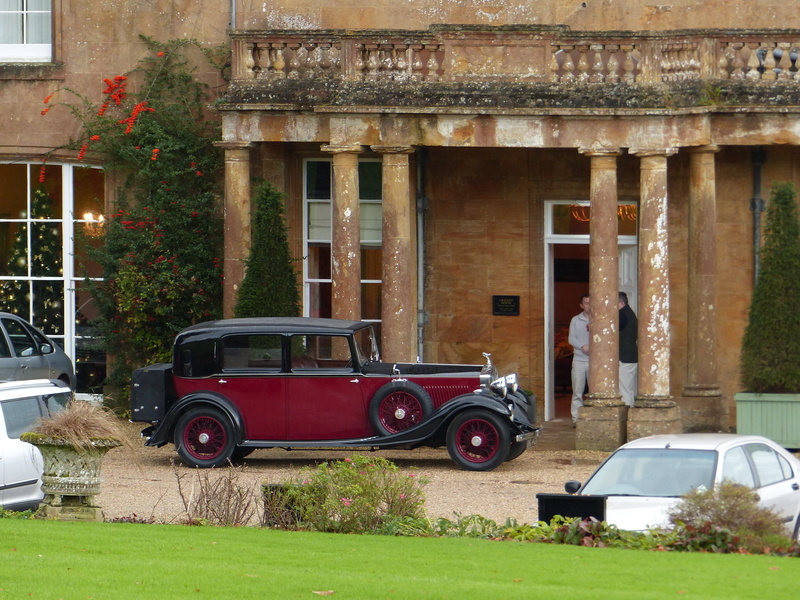 There was even a vintage Rolls Royce parked outside as if Brabinger was about to appear and hold the door open for Audrey to get behind the drivers seat! 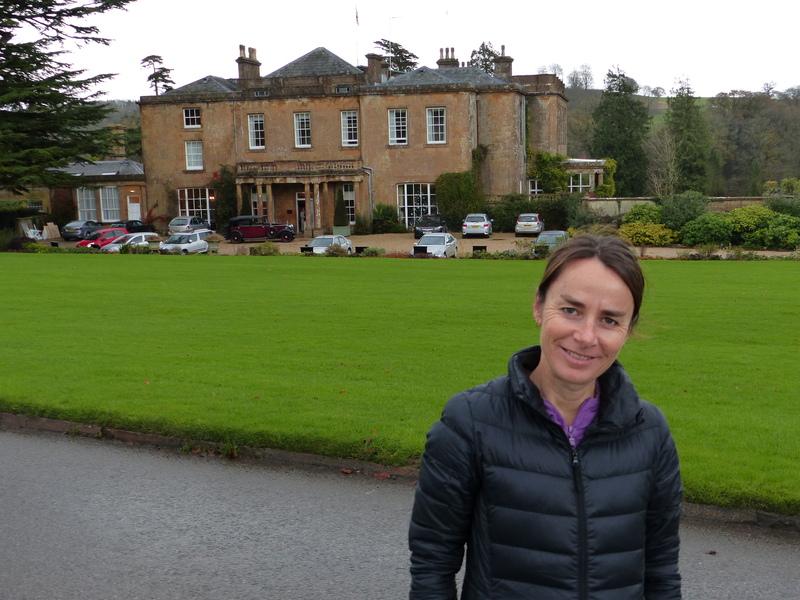 Thrilled to be at “The Manor”! 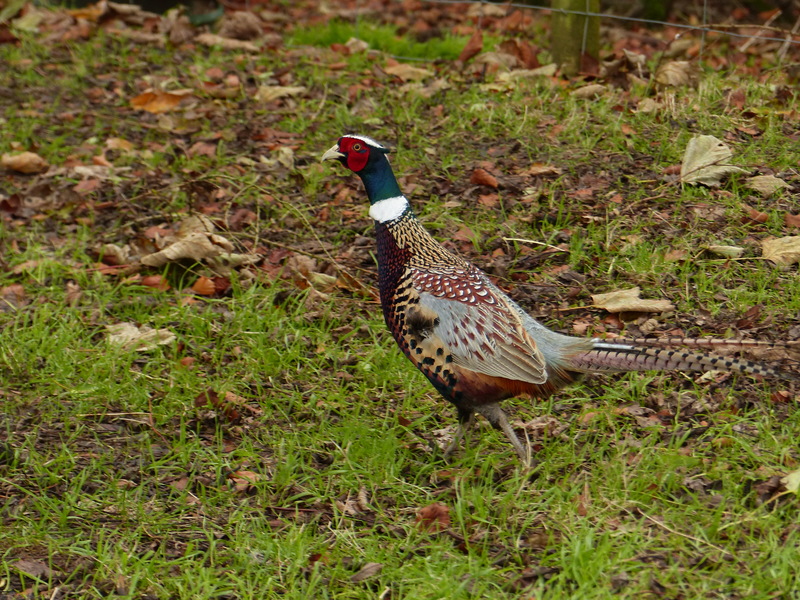 The drive through the estate was simply delightful and there were pheasants everywhere. It was like driving through the pages of Danny the Champion of the World! I stuck my head out the window and told them to disappear sharpish, lest they be mistaken for a turkey at this time of year and for all other times, stick to the undergrowth and don’t whatever they do, fly! They didn’t seem to heed my advice and warnings, because they stopped right near us and strutted about without a care in the world and then flew this way and that, blissfully ignorant to the fact that they’re there in order to end up on the table after providing some “sport” for fellas with silly hats and guns. The unfortunate fate of the pheasant. Run for the hills mate! Run away! 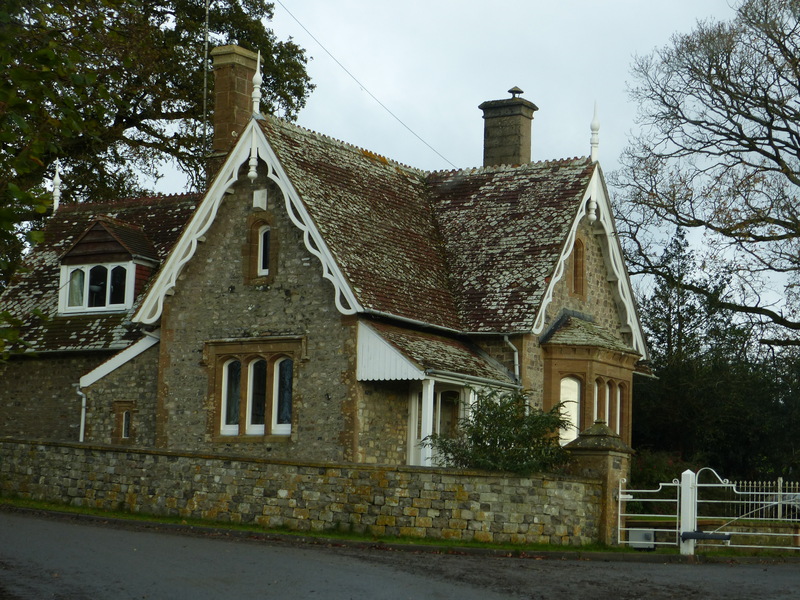 Having grinned and beamed with my moment at The Manor, we tootled a short distance up the road to see The Old Lodge. This was the house Audrey moved to when she had to leave The Manor, and while in the series it appears to be at the end of the Manor’s drive, in reality it’s about a mile away and they put a false gate in to film the series, to give the illusion it was closer. 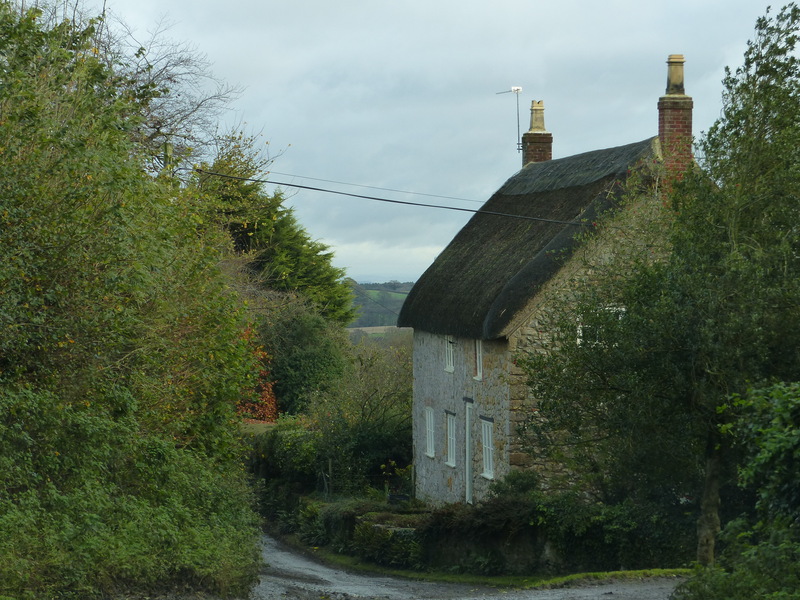 Another little thrill for me, to see this cottage that I remember so well from the telly! Still grinning broadly, we set off for a drive through Somerset and to visit some more pretty little villages. First stop was Barrington, which was another quaint little place with stone cottages. 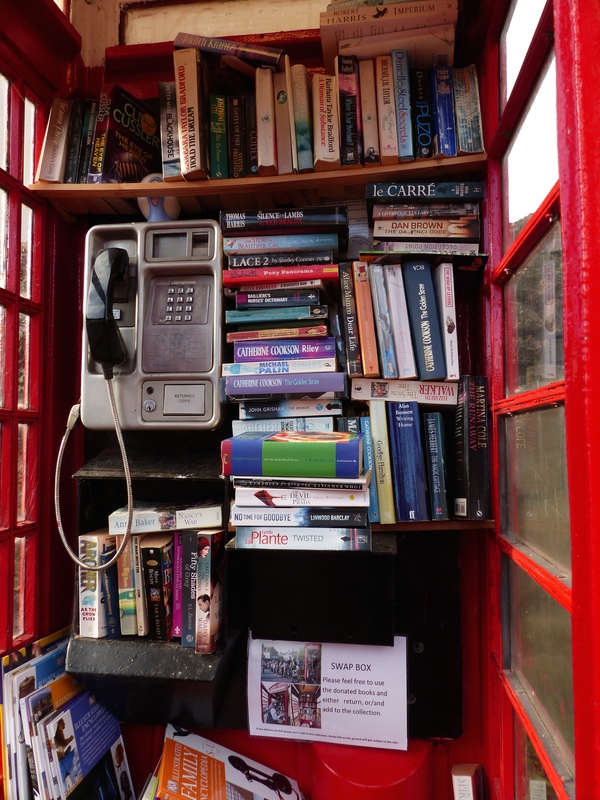 I also loved the phone box in the village, which had been turned into a village lending library with a selection of books for loan or exchange. How wonderful! 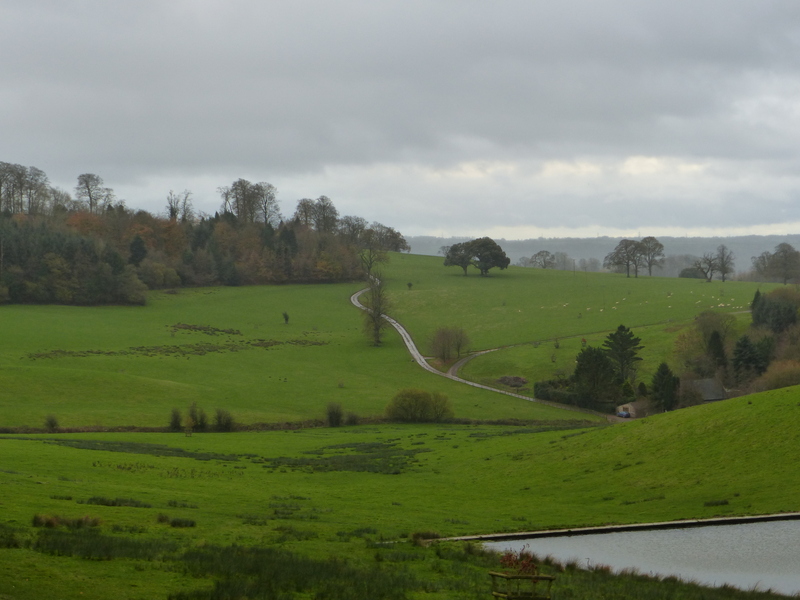 Through the countryside we continued, with beautiful colours in the trees overhead and sweeping views of the hills and fields. High Ham was a tiny little hamlet with an historic claim to fame. 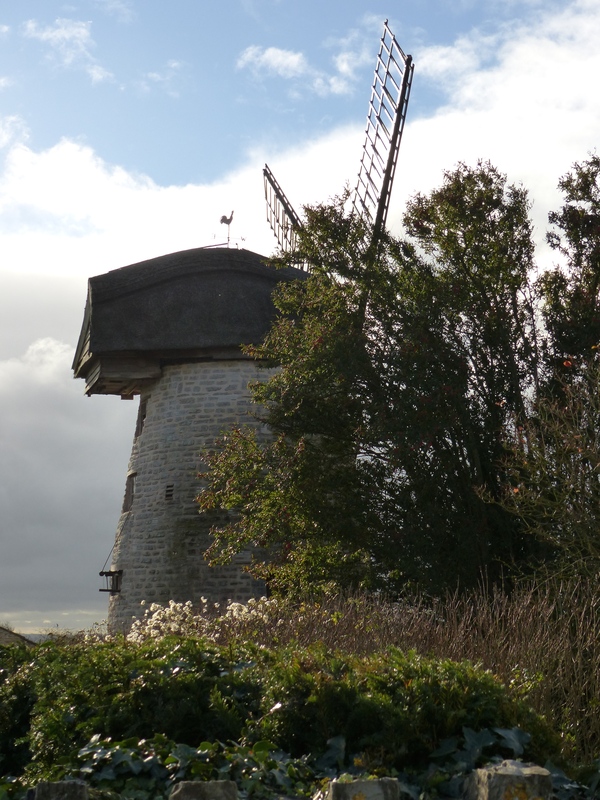 It’s home to the last remaining thatched windmill in England. It was a bit special to see it, because I guess it’s a bit special to see “the last remaining”anything. I hope it continues to be preserved and cared for, which it should, since it’s now in the hands of The National Trust. We lose too many irreplaceable things, whether buildings or animal species, so hopefully, even thought it’s “the last” it will continue to last for centuries to come. We called into Tesco to get some Arvos and as we drove out of the car park, I saw another marvellous sight. A lady was turning off the road and wheeling down the entrance to the car park on her large wheeled, upright bicycle. She couldn’t have been less than eighty years old and there she was, in her woolly hat, right arm outstretched, signalling her turn with all the authority of a seasoned cyclist and as she wheeled down the slope to the car park, she back-pedalled to get her foot into position for a speedy free-wheel and down she coasted into the car park. How fantastic! Age is no barrier to anything! Attitude is what counts and she had it in spades! She was obviously there to do her grocery shopping, which means she would have ridden that bike back to wherever she came from, carrying her shopping too. You have to love that! There should be more of it for all ages! 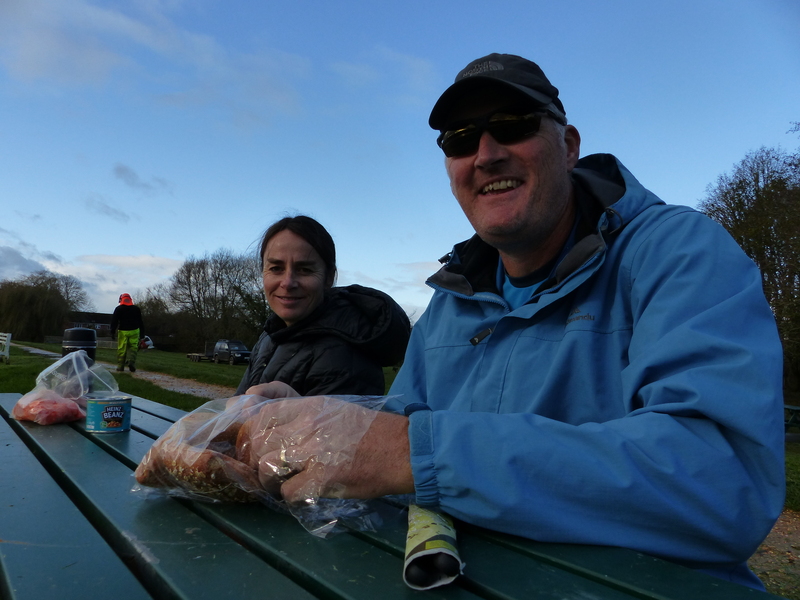 A nice little spot for Arvos presented itself and we rugged up to sit in the fresh air, in a park. We watched the people walking dogs, with the dogs following along behind carrying balls in the mouths, in anticipation of the games to come. A lovely little spot. 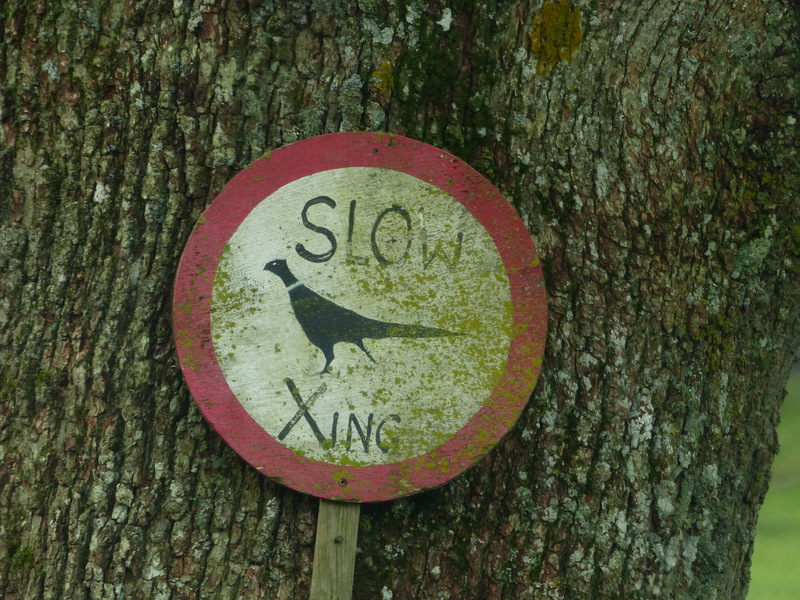 I saw another sign today, that I thought was a splendid reminder of the countryside location we were in and that we were in a country that not only loves dogs, but is pretty keen on horses too. 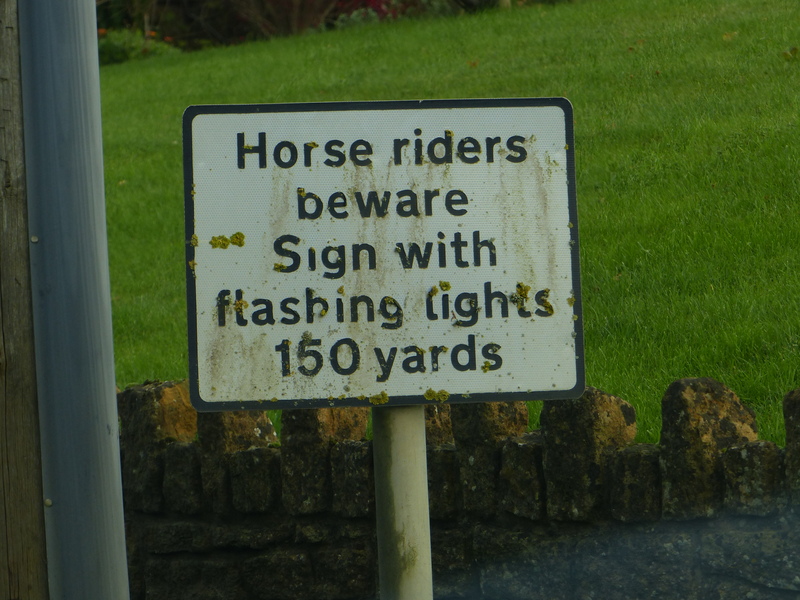 Fancy having a sign by the road to warn horse riders that there were flashing lights up ahead, in case horses were scared by them. How excellent! We sure don’t have that thoughtfulness for riders at home. 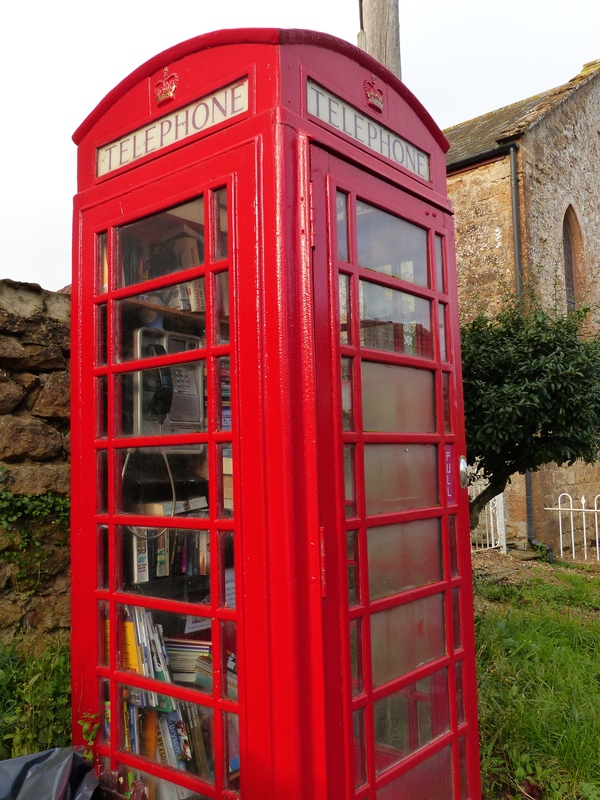 Our travels through the countryside continued, with my exclamations of joy filling the confines of the van, until we arrived at our hotel on the outskirts of Dartmouth. 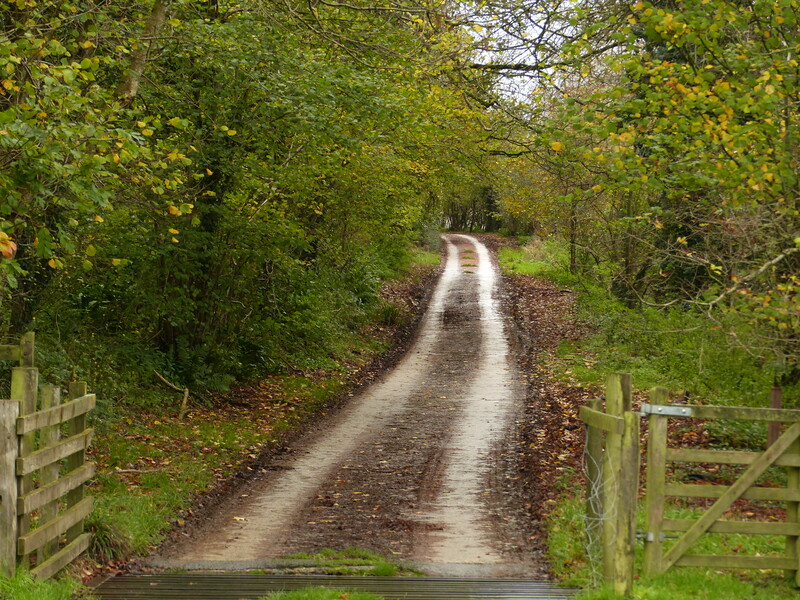 We are staying right in the middle of the countryside, which is perfect. Another topping day. As we travelled along today, words jumped into my head and between my ears and rattled around in my meagre brain, so I’m going to sign off with yet another feeble attempt at verse, as it sprang to mind during our choofing about today. Apologies for the quality, but here it is. to be out in this? and a clapping of hands. Hi, I’ve just read your item on To a The Manor Born, and I’d thought you might like to know that the car in your photo was indeed Audrey’s vintage Rolls, BMG443 was used throughout the series, as well as other BBC programmes such as Dads Army. We took the car to Cricket to reunite it with its TV home the celebrate her restoration. Thank you so much for getting in touch and I’m thrilled to learn that I was indeed looking at the original Rolls. It’s also nice to learn that it appeared in Dad’s Army too (another personal favourite) and I’ll have to pass that on to my dad who is a die hard Dad’s Army fan. When you say “we took it to Cricket”, were you the owner of the car? Thanks again for letting me know I had seen the original Rolls, I really appreciate it. How wonderful, what great story you have and a special piece of television history. It sounds like that beautiful car is in very good hands.